Look what has crawled out of the shop. 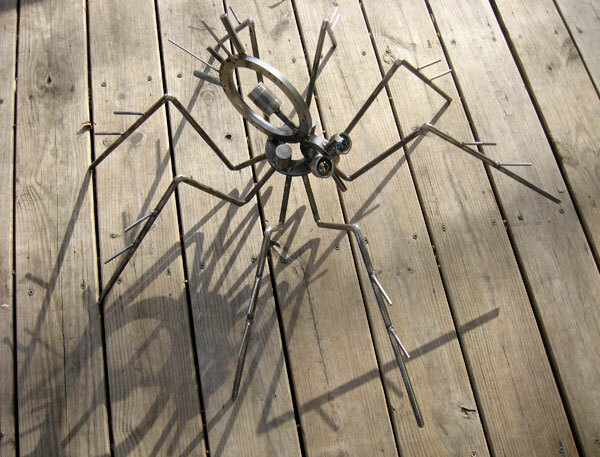 This prickly Wolf Spider was created as a memorial piece. 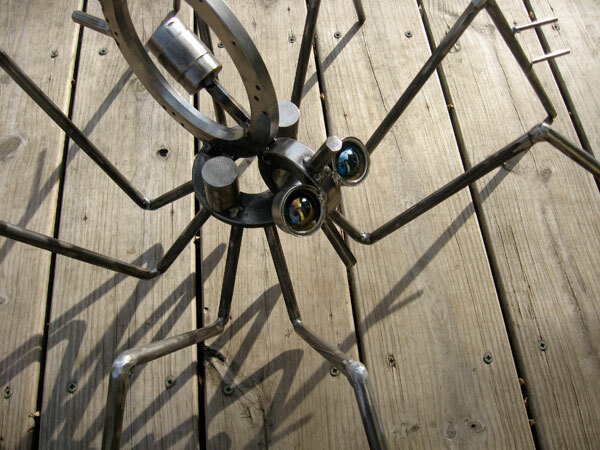 The spider is made using steel donated by a family who lost their father this year. I was honored to create such a bittersweet sculpture. I hope that in the years ahead this little spider will be a special reminder of the memories and goodness brought forth by an amazing Dad. This photo shows the spider nearing the finish line. Just need to clean it and place the eyes!